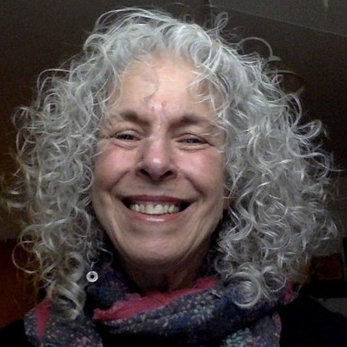 Mikki Aronoff is a New Mexico poet who worked many years in pediatric and adult hematology-oncology as a patient services manager and with creative arts therapies. Now retired, her passions are playing with words and advocating for animals. Her poem "I Was Satisfied with Silence" appeared in the Fall 2017 Intima: A Journal of Narrative Medicine. Hospice care was the on-ramp for my poem, I was satisfied with silence, and it is there I feel Bruce Jennings’ piece and mine intersect. His evocative "Coming Back North" (Intima, Spring 2017) offers an impactful life heading to its close and, as his bio reveals, to a hospice setting. The poem is full of movement – I feel the air stirring restlessly throughout. His generosity lets us accompany someone at the end of her life’s path and dream the new beginning of his. In "I Was Satisfied with Silence" (Intima, Fall 2017), my poem’s survivor taps into sound, settles into herself by juggling noise and silence as time expands and swallows deep sadness. I’m grateful for the way shared poems help us walk journeys side-by-side. On this warm autumnal day in New Mexico, over-shadowed by the cacophony and exhaustion of wars’ drumbeats, seemingly random shootings, natural disasters, personal and governmental negligence, I think about the utter privilege, the luxury of dying a safely experienced death. Regrettably, options of choice and comfort are not feasible for most in these times. Imagining an uneasy death saps my soul. I re-read my poem and feel guilty knowing it was written from a position of advantage: I have, at least today, the ability to plan, whether or not that plan works out, and to imagine dying peacefully – hospice an essential part of my map. In our chaotic times, we must constantly sculpt ourselves in rapidly shifting and often inhospitable sands. Events hold us hostage. Will we lose the ability to “honor messengers of grief and fear” (cf. Katherine Seluja’s Crossroads essay of August 29, 2017)? We worry about “checking out” and not being able to exercise our humanity. How, then, do we guide and afford ourselves and others the opportunity for balance in dying? What will happen to hope, to dreams? Who will be left to hold memories? Jennings’ last line, “…and I had to find my own way home,” is now more relevant than ever. May we have the time and the passion we need to heal ourselves and each other.